Cette page vous propose les coordonnées des entités en charge de la promotion du tourisme au Liechtenstein ainsi que des services et organismes officiels concernés par l'accueil des voyageurs et des touristes, tels que les Offices Nationaux de Tourisme (ONT), les Offices de Tourisme des états, des régions et villes, les ministères et administrations centrales ou encore les musées et parcs nationaux. Vous y trouverez aussi des informations pratiques pour faciliter l'organisation de votre voyage. Voyage à Vaduz au Liechtenstein - Réservez maintenant ! 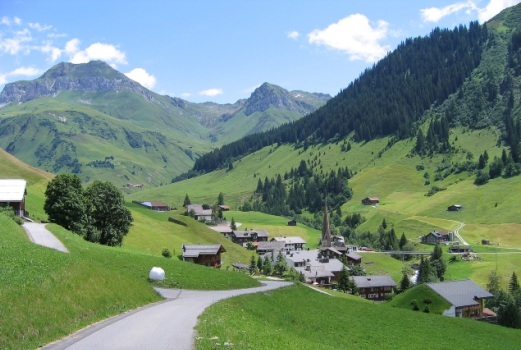 Liechtenstein--an Alpine curiosity? A haven for financial criminals? Or a success story in modern Europe? This book examines the reality behind the clichés. Liechtenstein's history has been dramatic and precarious. Several times it was in danger of vanishing from the map, most recently in 1939 when local Nazis tried to seize power and swallow the Principality into the Third Reich. Liechtenstein has a tiny population, no natural resources and the image of a less-than-serious fairy-tale kingdom with dubious banking laws which have often proved the bane of international tax authorities. But since the 1940s Liechtenstein has actually transformed itself into one of the most advanced hi-technology countries in Europe. This fascinating book charts the story of one of the world's most unlikely countries, revealing a strategy which its rulers and elite have used through the centuries to ensure its survival. David Beattie is the former British Ambassador to Switzerland and has held a variety of senior diplomatic office posts in Europe. A majestic mountain system in south-central Europe, the Alps form an arc spanning almost 750 miles from the Mediterranean Sea through northern Italy and southeast France, Switzerland, southern Germany, and Austria and into the northwest part of the Balkan Peninsula. Cuisines of the Alps takes a culinary tour through the region, with stops in Northern Italy for risotto a la Milanese and osso buco; in Austrian for goulash and linzer torte; for dumplings in Bavaria; raclette in Switzerland; French trout au bleu, and in Slovenia for eggplant stew and walnut cake, among many other delights. Cuisines of the Alps will enhance your knowledge of the region's cookery, bringing the snow-capped peaks, with their robust, homey dishes into your kitchen. "The cookery of the Alpine countries, a historically complex area comprising seven nations, is as fascinating to explore as it is to savor. This collection of distinguished cuisines contains a wealth of culinary treasures carefully evolved over the centuries by creative cooks. Indeed, the kitchens of these countries have produced cherished delicacies as well as flavorful, hearty dishes that have an enduring appeal."